Our management team includes some of the most experienced professionals in the industry. Here are some of our experts that are here to answer your queries. Get in touch! Having joined The Pure Group in 1996 Ben has now ‘clocked up’ over 20 years in the industry. His early days at The Pure Group were spent as an engineer, however gradual promotions led to a Directorship in 2001 and eventually to the position of Operations Director for the Group. In 2010 The Pure Group was sold to Green Compliance PLC. Following significant restructuring and integrating Ben was made Projects Director for the business and along with 3 other Directors had responsibility for 12m of water and air related services. In February 2013 he left Green Compliance to provide consultancy services to the industry and in October 2013 joined Concept as Managing Director. When not at work Ben enjoys training at the gym, playing the occasional game of golf and furthering his education (he is a ‘graduate’ of Henley Business School). He is married to Kate with three young children. Ben lives and has always lived in the Bristol area. 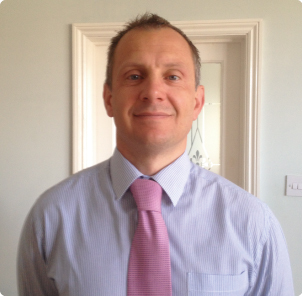 Craig has 15 years experience in the water industry. Craig’s initial role was as an engineer for The Pure Group. Having progressed to a site management role Craig and the company realised that with his background, hands on experience and outgoing confident personality he might have a future in business development. Craig has never looked back since that day and has now proven himself to be an exceptional sales person. His success is largely down to his desire to offer the greatest levels of support to clients and to offer them solutions so that they can successfully deliver projects. Craig (as are all the Directors) is looking forward to expanding the business by not only nurturing the existing client base, but building future long lasting relationships through excelling in customer service & professional assistance in what can be a demanding industry. Craig currently lives in Monmouth with his Wife Abbie, his 2 young children, 2 dogs, a cat & 4 Goldfish. Outside of work Craig enjoys walking the dogs, spending time with his family, socialising with friends and playing football when his knees allow it! 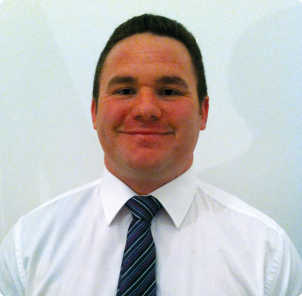 Craig joined The Pure Group as an apprentice in 1998 and quickly developed a passion for the industry. Following his apprenticeship Craig progressed through the company from engineer, to site supervisor and ultimately to Operations Manager. 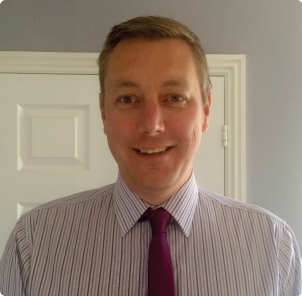 Craig continued his role as Regional Operations Manager once The Pure Group was sold Green Compliance PLC. At that time Craig was responsible for 15 engineers. Throughout his time at both The Pure Group and Green Compliance Craig had close involvement with the service contracts division. This experience has helped him step into a new role with Concept Environmental Solutions as Contracts Director. Craig’s knowledge of L8 legislation, cooling towers and steam boiler maintenance has helped him ensure his customers are extremely well looked after. He builds excellent relationships with his customers and is looking forward to being able to develop and grow the business into a successful National Company. Craig lives in Bristol with his girlfriend. When not at work he loves everything “Rugby.” He also enjoys training at the Gym and spending time with friends. 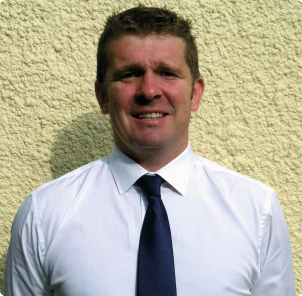 Since leaving school in 1991 Nick has spent the last 23 years working within the water treatment business. He carried out a 4 year mechanical engineering apprenticeship with Houseman with his main duty being installation of water treatment plant. In 1998 he decided to move on and joined the Pure Group (formally Water Pure Systems) as a water treatment engineer where he spent 15 years in various roles from engineer, site supervisor, operations manager, project manager. In early 2013 Nick help set up Concept Environmental Solutions where he is now Operations Director. Nick looks after the day to day running of the engineers and the onsite activities which include Pre Commission Cleaning Of heating/chilled water systems, Disinfection of Water systems, Commissioning of Ventilation/Water systems, Water Treatment plant service and installation, Ventilation Hygiene. In his spare time Nick enjoys being with his wife and 2 year old daughter Poppy. He also enjoys spending time at Bristol Barbarian RFC and still plays the odd game for the veterans.